The robot speaks a language called INFORM. The fake disk program is running on a computer hooked up via serial to the robot’s disk port, and so INFORM programs can be uploaded with scp to the fake disk. 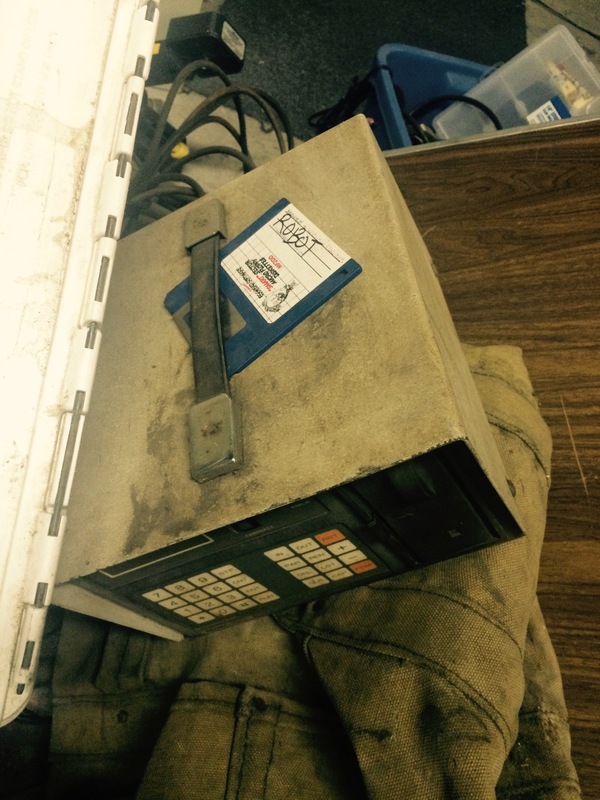 From the retro robot control box interface, you can load the programs from disk and run them. Now the robot is here to serve your drawing needs! thanks to SudoRoom for making this easy..
Jen Kotila liked this on Facebook. Sudo Room liked this on Facebook. Linda Hope Ryan liked this on Facebook. You guys play with Graffiti Markup Language? 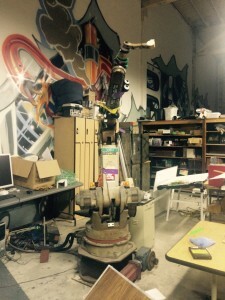 You can use a robot arm to do all your favorite graffiti tags.